Choose from a variety of soda flavors coupled with delicious vanilla, chocolate, or strawberry ice cream. Participants climb atop their podium and nudge each other off with the oversized fugal sticks. 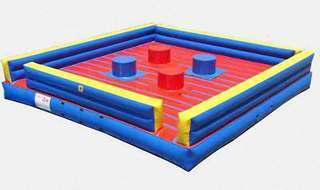 After that, you and your opponent put on harnesses hooked into a bungee cord and race to the end! Four players take their jousting sticks, balance themselves on their pedestals, and fight to the finish! 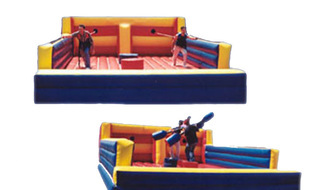 The double joust allows many guests to play throughout your event, challenges the toughest gladiators, and gives the opportunity for team building or tournament play. 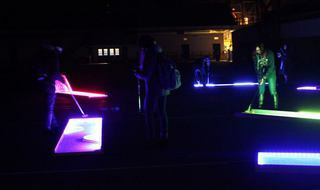 The classic get-together sport enhanced with eye-catching LED lit course & golf balls. 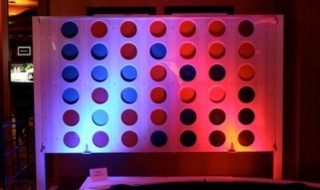 Choose from 3, 5, or 9 holes to add that cutting edge entertainment item to your next event. 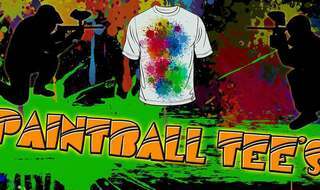 This fun activity lets participants shoot paintballs at their tee shirts thus creating a one-of-a-kind design! Several paint colors to choose from. 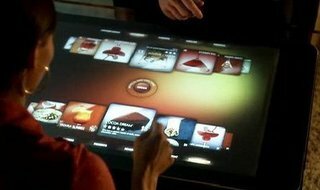 Touch screen apps and games are all the rage of modern times - bring that stylish trend to your event with the iTouch Table! 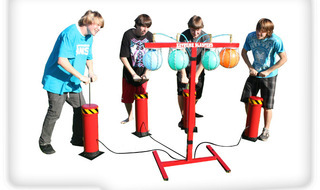 Featuring games and other fun activities, your guests will be having fun and participating in social interaction. 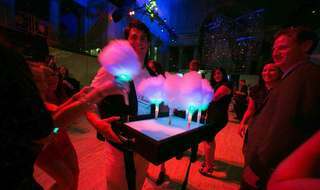 A unique novelty item that features a glowing LED cone to hold that sweet cotton candy. Add a bit of life to that ordinary stick of cotton candy with Glo Cone! Life Size version of the Favorite we all grew up with...perfect for outdoor events, large groups, picnics, and more! Eat other Pac-Men! 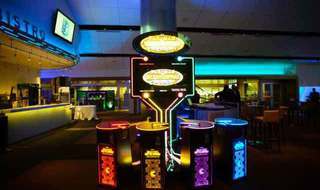 Pac-Man Battle Royale features gameplay that can accommodate up to 4 players simulataneously. 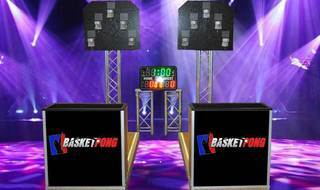 Our stunning setup features a large LCD gaming monitor and LED-lit stations for each player. The original PAC-MAN game concept has been given a cannibalistic twist: Eliminate your opponents by eating them and the last PAC-MAN standing wins the round. 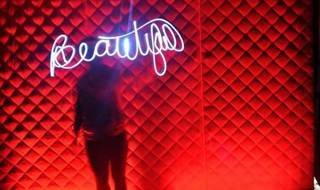 Step in front of our camera then paint with light! Take home a 5 x 7 print of your creation! 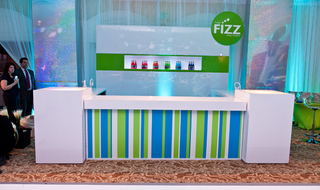 Guests can choose from over 40 scents at our enchanting Fragrance Station! 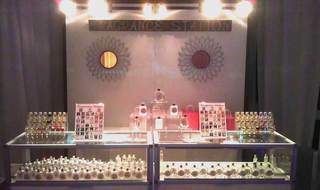 Cologne or perfume is made in a matter of minutes and encased in a designer bottle. Taking finger painting to a whole new, digital level! Strolling or stationary, the iSketch Caricaturtist sketches your likeness on his digital canvas using only his fingers! Printed on-the-spot and emailed, this is a great take-away item for your guests. 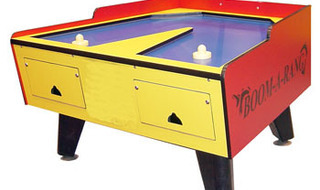 The Boom-A-Rang air hockey table has an eye catching design and side-by-side play for new twist on air hockey! Designed to fit against a wall, corner, or back-to-back with another unit. Wide goals promote super speed action. All around oversized rails help prevent puck from flying off the table. 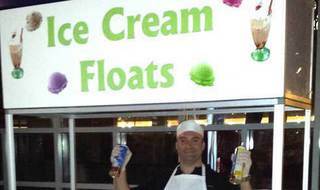 Featured at your next event, Buddy's Fun Foods! 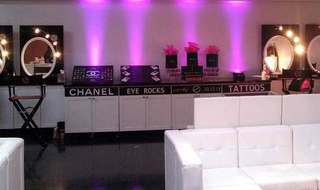 Our Cake Boss storefront is authentically decorated and customized adding the guest of honor's name to the signage. 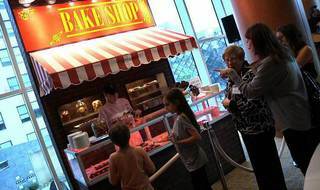 Best of all, the Cake Boss Bakery stand features cupcakes and treats...even those from Carlo's Bake Shop! Step up to the Soda Bar where you can grab and go with one of your Favorite Sodas in a Fun Colorful bottle or get funky and CREATE your own Soda Flavor using our Soda Stream Machines. 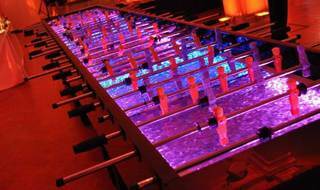 Fun and a spectacle on several levels...it's huge AND the play field features sequenced LED light animations under a flashy lucite surface! Up to 30 players compete twisting their rows of figures attempting to kick the ball into their opponent's goal.